Our Independent Testing Services portfolio constitutes a healthy mix of conventional and next-generation testing solutions for clients across industry verticals. Our ITS portfolio of offerings is organized across SHAPE, TRANSFORM and MANAGE offerings to best address our clients' business goals and requirements. SHAPE offerings constitute a set of solutions to assess and advise on optimal testing organization and function. These services help to align testing to business strategy, assess the current state, define the future road map and support in establishing a mature test organization with quantification business benefits. TRANSFORM solutions provide a stepwise guide for achieving productivity objectives and help clients change and optimize testing divisions into a more effective entity. These services help with the appropriate treatment not only to transform a client's testing function but also its organization by leveraging our unique automation and intellectual property for improved quality, greater speed, reduced cost and increased business benefit. MANAGE solutions help to meet and manage the ongoing requirements of the testing function and improve efficiency across the life cycle of applications / systems. These solutions also provide need-based testing capability and the necessary support /assets to maintain / upgrade an application portfolio to an adequate / agreed quality and help release "bug-free" applications to production. HOW DO EFS TESTING SERVICES HELP? People hold the key to greater productivity and business efficiency, which is the greatest investment an organisation can make in developing its people. Businesses often do not fully utilise their investment in IT, infact they identify the benefits in simple Cost Terms. IT reduces a Business's staff count, thereby saving money. By considering IT in terms of numbers and cost-cutting mechanism, businesses are failing to optimise its full potential which goes far beyond cost reduction. The lack of systematic training for personnel points out that Computer Systems sit idle through lack of awareness concerning their use or remain within the control of a small group of expert users. 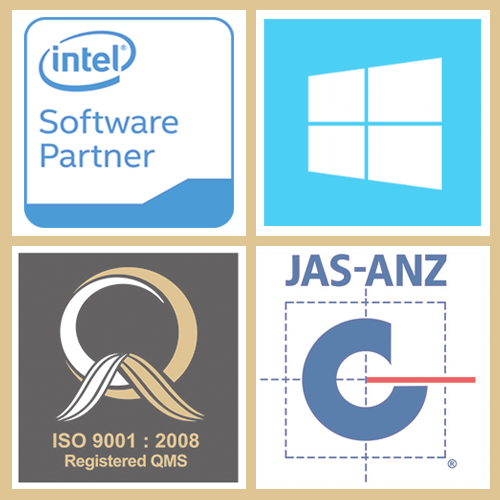 Adequate training is essential if you are to maximise your investment in computer hardware and software. eFutureSoft® will provide comprehensive flexible and high quality solution for your training requirements. We can claim to be a one-stop training provider for businesses of all sizes who need a co-ordinated and consistent approach to their IT training requirements. All training is custom built and tailored to maximise the use of time and budgets. Our major strengths are in analysing training needs and designing, building and implementing solutions. ..and do you love us? eFutureSoft consistently exceeds customer's expectations and requirements for on-time delivery of quality products and services through continuous improvement of our ISO 9001:2008 certified Quality Management System. To produce high-quality interactive learning solutions and easy to use products that incorporate high technology for the learners. To be the most successful and respected company in the elearning space. Our mission is to develop and deliver innovative learning solutions globally to our customers, consistently and provides a dynamic and challenging environment for our employees. Copyright 2015 - 2017. eFutureSoft Tech Solutions Private Limited.